With smooth performance and a wealth of standard and available safety features, the Honda Odyssey has distinguished itself in its segment. 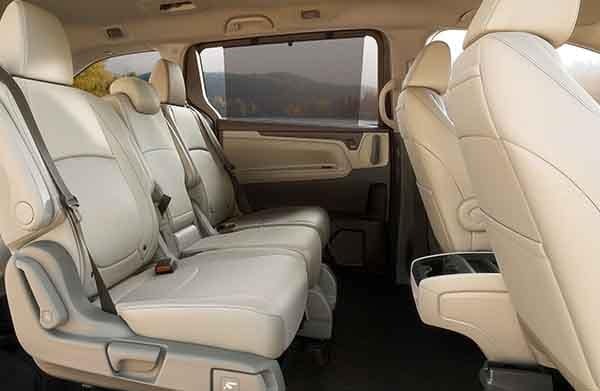 But it’s the Honda Odyssey interior, with its 8-passenger seating capacity and innovative range of trim levels that truly marks it as one of the best minivans you can buy. Its spacious interior is one of the reasons it made the “10 Best Family Cars 2018” list from Parents magazine and Edmunds.com. Take a look at some of the highlights below! During brisk College Place mornings, you’ll be able to ride comfortably thanks to these seats, which warm and cool you accordingly. The Honda Odyssey seating and interior blend comfort and practicality, especially when combined with innovative features like HondaVAC®. And you can experience its cabin right here at Honda of Kirkland, along with a range of new and used models you can browse through. So, contact us online, and drive home in an new Honda Odyssey today!